If you think you know what cross stitch is, look again! 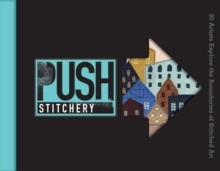 Jamie Chalmers, aka Mr X Stitch, shows you how to cross stitch using simple step-by-step instructions and also takes you to the frontiers of cross stitch design. The book is aimed at stitchers of all abilities, from absolute beginners looking to learn a new craft to embroiderers and cross stitchers who want to do something different in cross stitching. For many, cross stitch conjures up images of cute kittens and country cottages, but this book shows people that there's a different side to cross stitching - that it's an art in its own right, and will encourage them to be a little braver with their art. Jamie's writing style is fun, entertaining and highly inspirational. The book aims to appeal to men as well as women, encouraging one and all to take up the ancient craft. It teaches the basics of cross stitching, including information on materials, tools, techniques and colour blending, but also puts Jamie's own individual spin on it, with urban flavours and the introduction of different materials such as glow-in-the-dark threads and stitching on metal. As well as providing exciting designs to stitch, there is guidance on how to create cross stitch designs of your own, for example by using photographs and other images for reference. 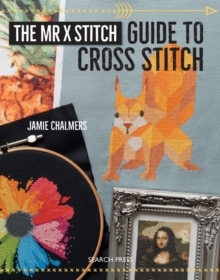 Jamie also showcases the work of other contemporary cross stitchers who are pushing the boundaries of their craft, and introduces more than 20 stunning cutting-edge projects to make, showing that beauty, innovation and 'craftivism' are alive and kicking in this inspirational book.